November 21, 2016 --- Outdoor shelters with a novel combination of Intertec's passive and active cooling technologies have been chosen to protect vital control systems at a Middle Eastern refinery. The environmental protection solution is being provided as part of an upgrade to the burner management systems at the core of the plant's refining processes. Intertec's design response to the engineering problem incorporates two major features. The first is custom-designed remote instrument enclosures (RIEs) based on composite GRP materials. The materials protect against the many environmental challenges of the application including very high levels of UV, extremes of temperature, dust and sand abrasion. The second key part of the protection solution is a regulated internal environment that provides the essential cooling required for the reliable operation of the electronics in the harsh Middle Eastern climate. This is maintained by a combination of three cooling methods, in order to provide exceptional redundancy against failure. The IP65-rated shelter also utilises the plant's instrument air service - after drying and filtering. This provides a slight positive pressurisation of shelter interior atmosphere for safe operation in a hazardous area, as well as ensuring there are no corrosive chemicals in the atmosphere. Another interesting feature of Intertec's solution is the size of the shelters. 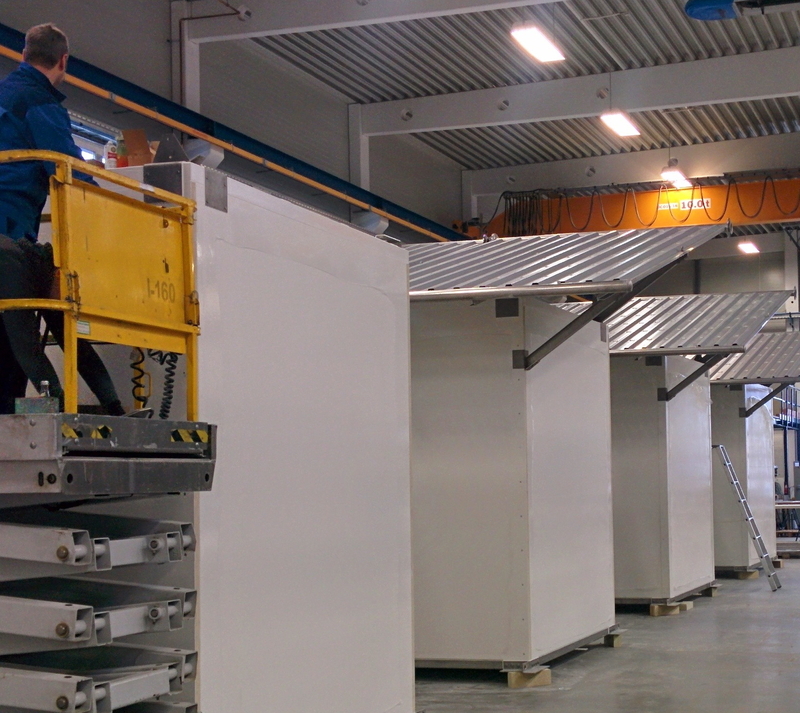 The shelters are scaled to accommodate the PLC control and safety systems, but are also designed to be accessed only from the outside in normal plant operation. The powered water and air cooler units are mounted on an external wall. Several other small panel-mounting enclosures provide external access to the electrical connection and I/O termination points. The PLC is fitted with a touchscreen HMI panel that sits on an external wall - allowing operators on the ground to make adjustments to the control programs locally if needed. A door is incorporated in the shelter design but this is locked in normal operation, and only accessible under controlled circumstances. This reduces the size and cost of the enclosures, and eliminates the need to make them blast proof. All eight shelters use a common design with a footprint of around 2 x 3 metres, plus a heat exchanger on the roof, which also overhangs to provide shade. 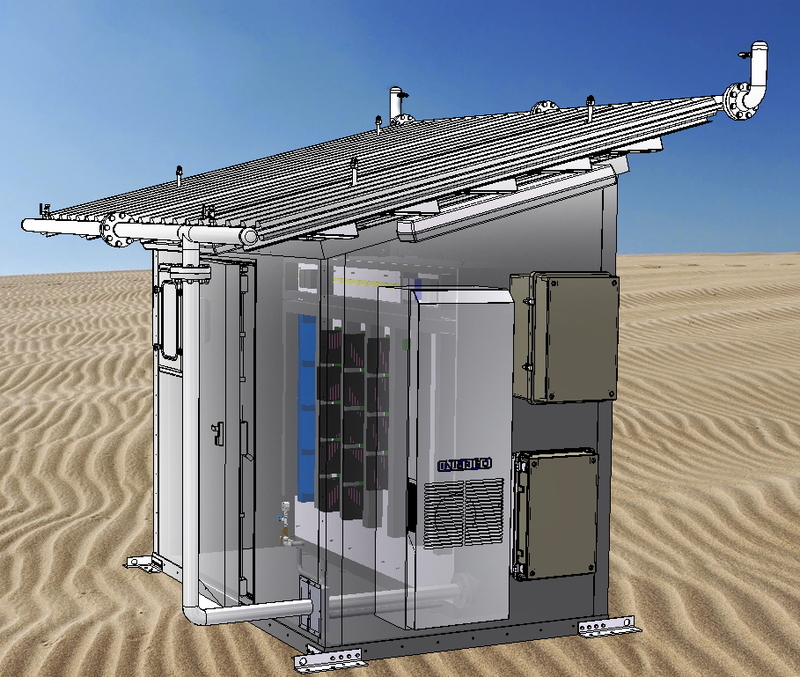 Intertec is producing custom field shelters with an innovative combination of active and passive cooling technologies to protect PLC control systems at a Middle Eastern refinery. Intertec's RIE design for the refinery burner control application is optimized for use in harsh environmental conditions.